Prototype: Eckartshausen grain elevator, located on the Hohenlohe Line between Crailsheim and Eckartshausen, visible from a distance. 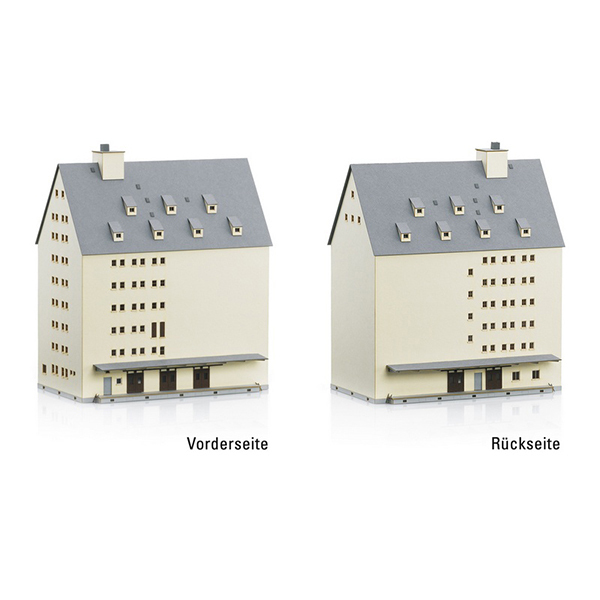 Model: This building kit is made of fully colored, laser-cut architectural board. This kit has very fine, laser-engraved details. Extensive building instructions are included. Dimensions: approximately 188 mm / 7-3/8" x 118 mm / 4-5-8" x 210 mm / 8-1/4" (L x B x H).